Aaj hum Computer Keyboard Shortcut Keys in Hindi Ke bare me janege , sath hi sath hum ye bhi janege ki Shortcut Keys Hoti Kya hai . Aaj kal computer yug hi chal ra hai kuki lagbhag sare kaam ab computer se hone lage hai . Har ghar me computer , har shop pe, har office me sab jageh computer ka hi use hota hai . Is liye chahe aap ghar me computer chalate ho ya kahi office me computer ka knowledge bahut jaruri hai . Computer chalane me shortcut keys ka use kaafi kiya jata hai kuki inka use kar ke hum computer me jaldi kaam kar pate hai . Agar aap shortcut keys ka use nahi karte to samjh lijiye ki aap apna kaafi time barvaad karte hai . Is liye inko sikhna bahut jaruri hai kuki ye har jageh kaam aane vali hai . Keyboard Shortcut Keys Kya Hai ? Shortcut key ek prakar ka keys combination ya Keys ka set hota hai jo operating system ya program me specific command ko karne ke liye hota hai . Jyada tar Shortcut keys me Ctrl key, Alt key, Shift ya Windows key ka istemaal hota hai but iske alava kuch dusri keys ka bhi use hota hai . Yaha tak ki jo hamare keyboard me function keys hoti hai unka bhi use shortcut keys me kiya jata hai . Jaise windows me agar hum kisi file ko select karke Ctrl + C dabate hai to vo file copy ho jati hai , To Ctrl + C ek Keyboard Shortcut hai . Aapne dekha hoga ki hum computer me mouse se click kar menu ko open karte hai alag alag jageh navigate karte hai , but shortcut key ka use kar ke hum lambi process ko chota kar sakte hai or apne time ko bacha sakte hai . Windows ya dusre operating system me pahle se hi shortcut keys define rahti hai Or hum bahut sare programs ko use karte hai unme pahle se hi bahut sare keyboard shortcuts define rahte hai , Kuch program me to hum apne khud ke shortcut key combination ko bana sakte hai . To Friends umid hai ki ab aapko shortcut keys kya hoti hai vo clear ho gaya hoga . Computer shortcut keys me sabse pahle hum basic or most commonly used shortcut keys ke bare me janege . Niche hum aapko kuch basic shortcut keys ke bare me bata rahe hai ye sari shortcut keys lagbhag sabhi computer or program ke kaam karti hai . Friends agar aap computer ke acche user banna chate hai to aapko ye sari keys yaad rakhni chahiye , kuki ye bahut hi kaam ki hai jinse aap apna kaafi time bacha sakte hai or jo kaam kai mouse click se hota hoga usko aap keyboard shortcut keys ki madat se turat kar lenge . Chaliye ab in shortcut keys ke bare me jante hai . F1 : Windows Me Help Option Ko Open Karne Ke Liye . F2 : Selected file ko Rename Karne Ke Liye . F3 : File Or Folder Search Karne Ke Liye . F5 : Refresh Karne Ke Liye . F6 : Window Ya Desktop Me Screen Elements Ko Cycle through (Ek Ke Baad Ek) Dekhne Ke Liye . F10 : Current Program Me Menu Bar Ko Activate Karne Ke Liye . F11: Windows Ko Full Screen Karne Ke Liye . Ctrl + F4 : Current Open Program ya Document Ko Close Karne Ke Liye . Ctrl + A : Select All ( Active Windows Ya Document Me Sab Kuch Select Karne Ke Liye ) . Ctrl + B : Select Kiye Huve Text Ko Blod Karne Ke Liye . Ctrl + C : Selected Item Ko Copy Karne Ke Liye . Ctrl + D : Select Kiye Huve Item Ko Delete Karne Ke Kiye Ya Usko Recycle Bin Me Dalne Ke Liye . Ctrl + E : Address Bar Ko Select Karne Ke Liye . Ctrl + F : Current Windows Me Find Dialog Box Open Karne Ke Liye . Ctrl + G : Go To Box Open Karne Ke Liye . Ctrl + I : Selected Text Ko Italic Text Me Karne Ke Liye . Ctrl + N : Kisi Bhi Program Me New Document Create Karne Ke Liye Ya New Window Open Karne Ke Liye . Ctrl + O : Open ( Current Program Me File Open Karne Ke Liye ) . Ctrl + P : Current Open Doecument Ka Print Nikane Ke Liye . Ctrl + R : Active Windows Ko Refresh Karne Ke Liye . Ctrl + U : Selected Text Ko underline Karne Ke Liye . Ctrl + V : Copy Kiye Huve Document Ko Paste Karne Ke Liye . Ctrl + Y : Kisi Action Ko Redo Karne Ke Liye . Ctrl + Z : Kisi Bhi Action Ko Undo Karne Ke Liye (Ek Step Vapes jane ke liye). Ctrl + Esc : Start Menu Ko Open Karne Ke Liye . Ctrl + Tab : Open Tabs Me Se Ek Tab se Dusri Tab Me Jane Ke Liye (Cycle through) . Ctrl + + (Plus) : Zoom In Karne Ke Liye . Ctrl + – (Minus) : Zoom Out Karne Ke Liye . Ctrl + Middle Mouse Scroll : Zoom In Ya Zoom Out Dono Kar Sakte Hai . Ctrl + Up Arrow : Cursor Ko Pichale Paragraph Ke start Me Karne Ke Liye . Ctrl + Down Arrow : Cursor Ko Next Paragraph Ke Start Me Karne Ke Liye . Ctrl + Left Arrow : Cursor Ko Word Ke End Me Karne Ke Liye . Ctrl + Right Arrow : Cursor Ko Word Ke Start Me Karne Ke Liye . Ctrl + Shift + N : New Folder Create Karne Ke Liye . Ctrl + Alt + Tab : Open Program Ko Switch Karne Ke Liye . Ctrl + Shift + Esc : Task Manager Ko Open Karne Ke Liye . Alt + F4 : Current Program Ya Windows Ko Close Karne Ke Liye . 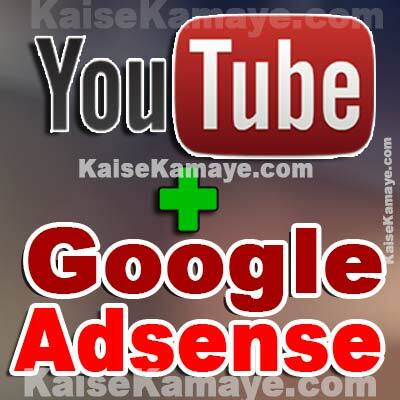 Alt + Tab : Open Programs Ko Switch Karne Ke Liye (Ek Program Se Dusre probram me Jane Ke Liye) . Alt + Enter : Selected Item Ki Property Ko Open Karne Ke Liye . Alt + Spacebar : Active Windows Ki Shortcut Menu Ko Open Karne Ke Liye . Alt +Left Arrow : Back Karne Ke Liye . Alt +Right Arrow : Forward Karne Ke Liye . Shift + Delete : Selected Item Ko Permanently Delete Karne Ke Liye . Comuter Me Shortcut Keys ki baat kare to Windows Key ka use shortcut keys me kafi jyada hota hai . Is liye friends ab hum aapko Windows Key ka use jin shortcut keys me karte hai , Un sab shortcut keys ke bare me janege . Windows Key : Start Menu ko Display or Hide Karne Ke Liye . Windows Key + A : Action Center Ko Open Karne Ke Liye . Windows Key + D : Desktop Me Jane Ke Liye . Windows Key + ALT + D : Date or Time Ko Display or hide Karne Ke Liye . Windows Key + E : File Explorer / My Computer Open Karne Ke Liye . Windows Key + F : Screenshot Lene Ke Liye Or Feedback Hub Ko Open Karne Ke Liye . Windows Key + CTRL + F : Find Computer Box Ko Open Karne Ke Liye . Windows Key + G : Game Bar Ko Open Karne Ke Liye . Windows Key + I : Windows Settings Ko Open Karne Ke Liye . Windows Key + K : Connect Quick Action Ko Open Karne Ke Liye . Windows Key + L : Computer Ko Lock Karne Ke Liye . Windows Key + M : Sabhi Windows Minimize Ho Jayengi . Windows Key + SHIFT + M : Minimized Windows Ko Restore Karne Ke Liye . Windows Key + O : Device Orientation Ko Lock Karne Ke Liye . Windows Key + P : Presentation Display Mode Ko Chunne Ke Liye . Windows Key + R : Run Dialog Box Ko Open Karne Ke Liye . Windows Key + S : Windows / Web Search Ko Open Karne Ke Liye . Windows Key + T : Taskbar Me Jo App Honege Unhe Ek Ke Baad Ek (Cycle through) Dekhne Ke liye . Windows Key + U : Ease of Access Center Ko Open Karne Ke Liye . Windows Key + W : Windows INK Workspace Ko Open Karne Ke Liye . Windows Key + X : Quick Link Menu Ko Open Karne Ke Liye . Windows Key + Z : Full Screen Mode Me Application Ki Available Commands Ko Dekhne Ke Liye . Windows Key + . (period) : Emoji Panel Ko Open Karne Ke Liye . Windows Key + ; (semicolon) : Emoji Panel Ko Open Karne Ke Liye . Windows Key + , (comma) : Thodi Der Ke Liye Desktop Ko Dekhne Ke Liye (Jab Tak Aap Button Ko Daba Ke Rakhenge) . Windows Key + + (Plus) : Magnifier Ko Open Karne Ke Liye . Windows Key + Esc : Magnifier Ko Close Karne Ke Liye . Windows Key + Pause / Break : System Properties dialog box Open Ho Jata Hai . Windows Key + Number (1 to 9) : Taskbar Me Pin Ki Hui App Ko Number Ke Hisab Se Open Karne Ke Liye , Agar aap Windows Key + 1 Dabate Hai To Taskbar Me Jo sabse Pahli App Pinned Hogi Vo Open Ho jayegi . Windows Key + Tab : Task View Ko Dekhne Ke Liye . Windows Key + Spacebar : Input Language Or Keyboard Layout Ko Switch Karne Ke Liye . Windows Key + Ctrl + Spacebar : Previously Selected Input Ko Chunne Ke Liye . Windows Key + Ctrl + Enter : Narrator Ko Open Karne Ke Liye . Windows Key + Home : Active Windows Ko Chor Kar Sabhi Windows Ko Minimize Karne Ke Liye . Windows Key + Up Arrow : Window Ko Maximize Karne ke Liye . Windows Key + Down Arrow : Current App Ko Screen Se Hatane Ke Liye or Window minimizeKo karne Ke Liye . Windows Key + Left Arrow : App Ko Maximize Karne Ke Liye Ya Desktop Window Ko Screen Ke left Side Me Karne Ke Liye . Windows Key + Right Arrow : App Ko Maximize Karne Ke Liye Ya Desktop Window Ko Screen Ke Right Side Me Karne Ke Liye . Windows Key + Shift + Up Arrow : Desktop Window Ko Top Or bottom Screen Tak Stretch Karne Ke Liye . 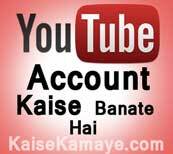 Special Characters is type ke hote hai jaise : – ¿ , © …. Special characters ko bhi shortcut keys ka use kar ke banaya jata hai . Niche hum aapko kuch special characters ke keyboard shortcut keys ko bata rahe hai jinka use kar ke aap in special characters ko bana sakte hai . Friends to ye hai keyboard shortcuts , Aap jab iinka daily use karenge tabhi ye aapko yaad ho payengi . aapko hamari ye post Computer Keyboard Shortcut Keys in Hindi kaisi lagi comment kar ke jarur bataye , Agar hamri list me koi shortcut key nahi hai jo aapko pata ho to hume comment kar ke jarur bataye . Umid hai ki ab aap in keyboard shortcut keys ka use kar ke fast kaam kar payenge to istni mehnat se ye jo collection banane ka prayas kiya hai vo hum safal manege . Is information se aapko help hui ho to isko apne friend or family ke sath sahre jatur kare . Agar aapke man me koi question ho to aap niche comment kar ke puch sakte hai . nice post bahi kafi helpful shortcut keys hai . Thanks For Comment Asad ! Sir me new computer buy kiya ye post mere liye bahut hi helpfull raha. Thank you. Bhut hi useful information share ki hai apne. Isse user ko asani hoga computer chalane me. Thanks For Comment MD Badiruddin.